Having negotiated a coalition treaty with Angela Merkel, Germany’s Social Democrats now face the harder job of selling the deal to a sceptical party base, which has the last word in an upcoming vote. A “nein” is unlikely, but possible – and would cause political havoc in Europe. 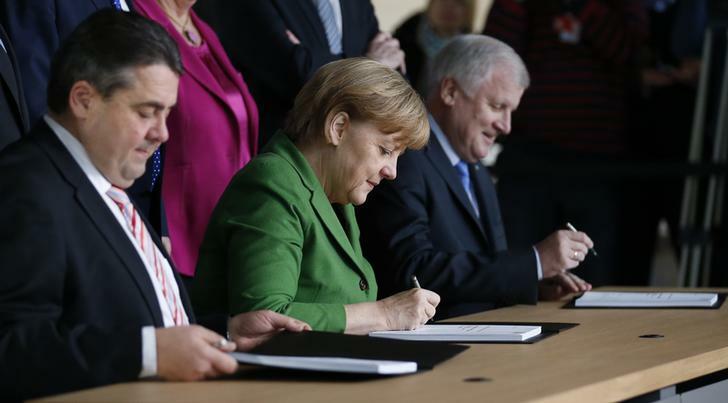 Angela Merkel’s German conservative party agreed a coalition treaty with the country’s Social Democrats in the early hours of Nov. 27 after a final round of negotiations that dragged on for 17 hours. Government spending on social policies and investment is poised to rise by 23 billion euros over the next four years. Key measures in the coalition treaty include the introduction of a general minimum wage, tighter rent control and a more generous retirement law. The parties also agreed to establish a highway toll for foreign drivers and plan to carry on with Germany’s push to green energy. The SPD will formally sign the agreement if it is approved in a referendum of its 470,000 members that will run until Dec. 15. The results of the poll will be binding if the turnout is at least 20 percent.